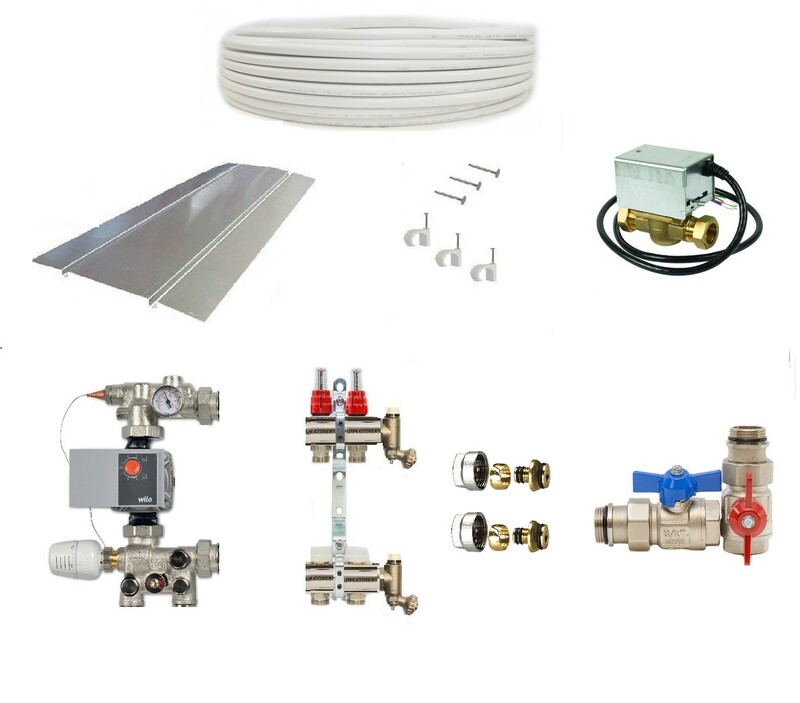 Our underfloor heating kits have been designed to give you everythingyou need for a fast and hassle-free installation of underfloor heating into anybuilding. Our Timber kit sizes range from 25 m² – 45m², with pipe spacings of 200centres are available with a choice of control options to suit your needs. Simply choose your kit size and select the required thermostat andquantity. If you don’t need a thermostat, then no worries, we’ve made it easyto build your kit to your requirements.